Wiley has long held a pre-eminent position as a publisher of books on geotechnical engineering, with a particular strength in soil behavior and soil mechanics, at both the academic and professional level. 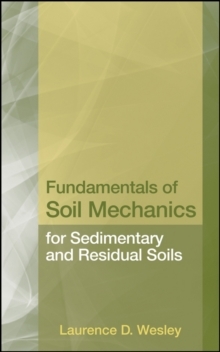 Thisreferencewill be the first bookfocused entirely on the unique engineering properties of residual soil. Given the predominance of residual soils in the under-developed parts of the United States and the Southern Hemisphere, and the increasing rate of new construction in these regions, the understanding of residual soils is expected to increase in importance in the coming years. 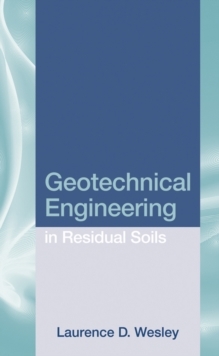 This book will be written for the practicing geotechnical engineer working to any degree with residual soils. It will describe the unique properties of residual soil and provide innovative design techniques for building on it safely.The author will draw on his 30 years of practical experience as a practicing geotechnical engineer, imbuing the work with real world examples and practice problems influenced by his work in South America and Southeast Asia.